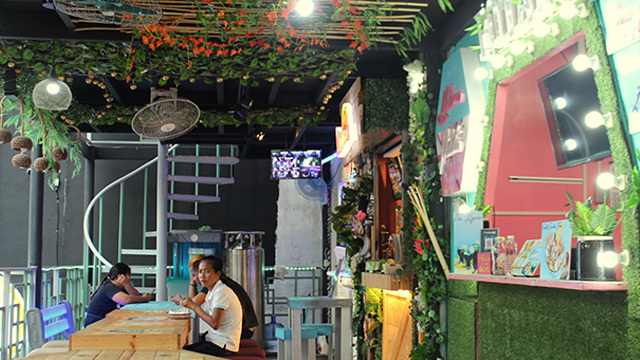 One of the biggest food service trends to sweep Metro Manila in the past couple of years was the outdoor food park and its indoor version, the food hall. Suddenly, vacant outdoor spaces across Metro Manila were transformed into food hubs, sometimes using huge container vans, with stalls selling a variety of specialty food. Customers came in droves, drawn in by Instagram and Facebook posts highlighting the visual delights of the place as well as the dishes themselves, which were prepared so that they looked appealing in pictures and videos. 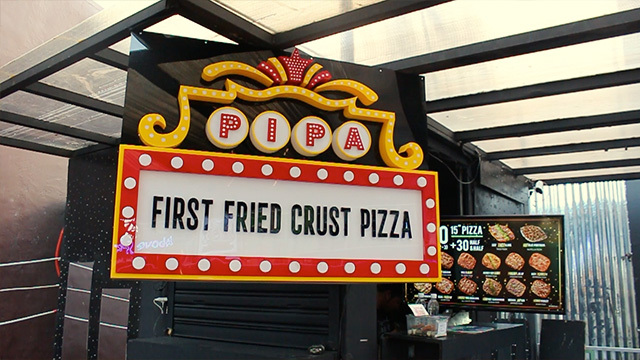 Established by sisters Anne Barbara “Bobbie” Soriano, Cohleen Soriano-Ipapo and Hazel Soriano-Fariñas, The Yard was one of the first food parks to ride this trend, opening two large branches in a span of just a year. The first, The Yard in Xavierville in Quezon City, looked like a neighborhood yard, and the second branch, The Yard Underground Oranbo in Pasig, evoked the feel of a London subway station. The sisters are no stranger to the food service industry; they were also behind the popular and successful Fariñas Ilocos Empanada chain of restaurants and food stalls. In November 2017, the Soriano sisters opened the third branch of The Yard along Timog Avenue in Quezon City. Like its two predecessors, the third branch—called The Yard Streetfood Cinema—is physically designed around a particular theme. 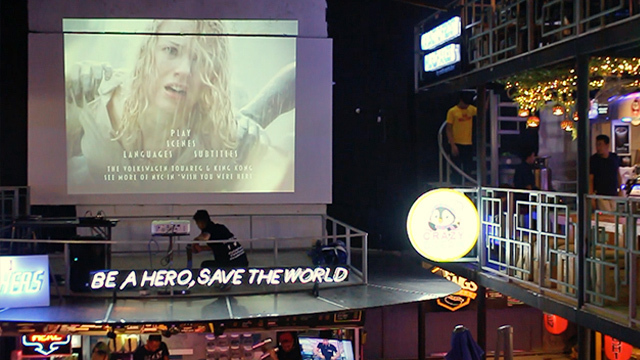 As its name suggests, the 700-square-meter food park is filled with 29 stalls offering street food dishes inspired by popular movies and TV shows and their iconic characters. Examples: The GodPasta by Daddy’s and Lord of the Ribs. 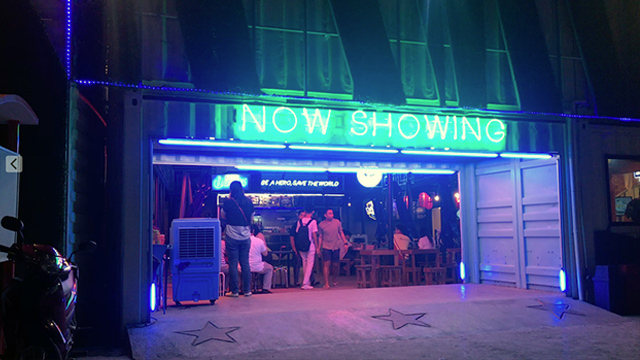 There’s also a daily screening of movies in its outdoor cinema area. “For The Yard, for each of our branches, we want to be different. We always have themes in our branches. This is our way to level up or improve our food park,” Soriano said in an interview with Entrepreneur Philippines in December. 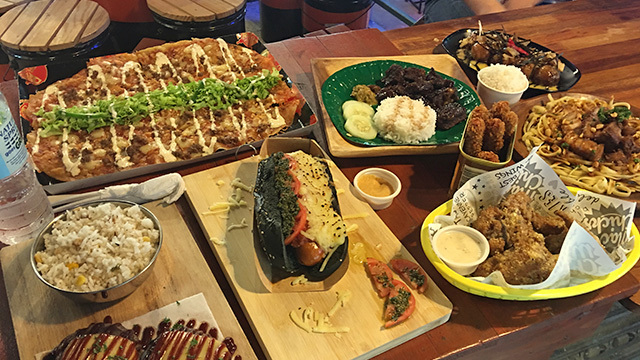 Unlike its first two branches, which were located in relatively quiet areas far from well-known food hubs, The Yard Streetfood Cinema is located right at the doorstep of the Tomas Morato Avenue dining district. It signals the sisters’ confidence that The Yard is ready to compete with some of the city’s established restaurants and dining places. 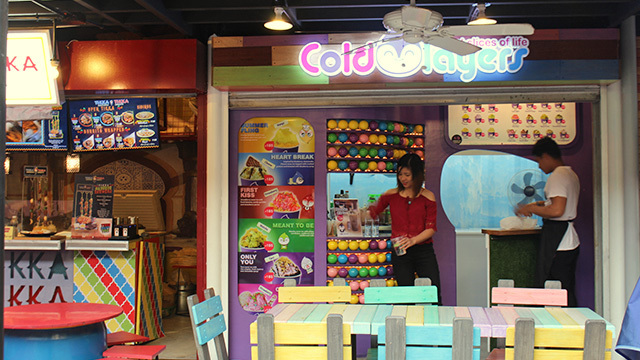 The Yard’s third branch opened amid growing worries that there could already be an oversaturation of food parks, especially in Quezon City. At the city’s Maginhawa Street food hub, there seems to be a food park or food hall every hundred meters or so. 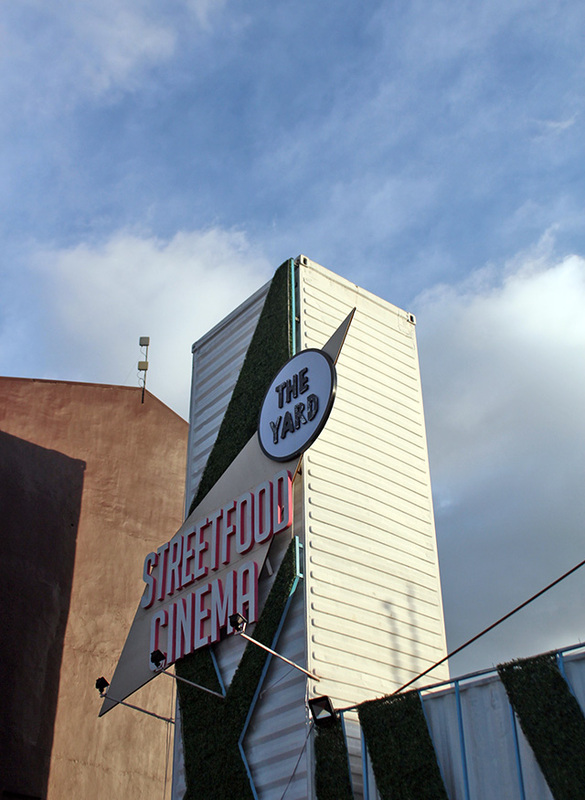 Unlike its first two branches which attracted huge crowds just weeks after opening, The Yard Streetfood Cinema seemed off to a relatively slower start. When Entrepreneur Philippines visited the place during a week night in December, the food park seemed less busier than expected for a night in the middle of the holiday rush. One of the food sellers said business had been slow in the first month of operation. The Yard’s first branch in Xavierville had also shut down late December but the Soriano sisters emphasized it had nothing to do with commercial viability. Rather, they said they closed it after local government authorities withdrew the business permits of all dining and commercial establishments in the area in keeping with the subdivision’s residential zoning classification. Soriano said some of tenants in Xavierville are moving to either branches in Timog Avenue or in Pasig. Julius Ipapo, one of the partner-owners of The Yard, said they’re very much aware of the talk about food parks hitting a plateau as an industry but added they’re focused on making things work. 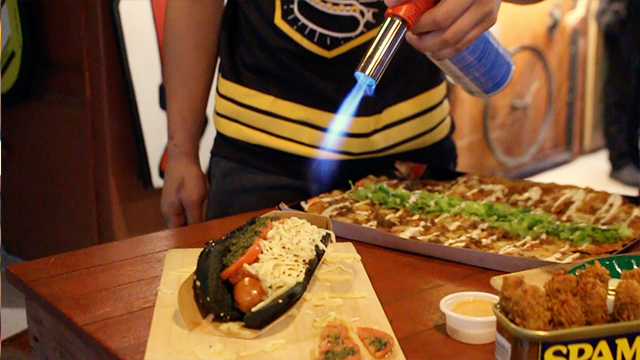 “Scared at the same time challenged [of the food parks’ saturation], kasi ganon naman talaga. Challenged kami kasi andito na kami, why not focus? Spread your wings? We just have to come up with something new every time [we launch],” he said. In a sign that food parks still have some avenues for growth, The Yard is opening its first branch outside of Metro Manila at the Nuvali in Laguna later this year. Ipapo said his team was personally invited by Ayala Land to operate a food park in the mixed-use property development. “We also have a scheduled opening in Cavite, and an invite from Araneta [group] to operate an indoor food park in one of their properties. So, we’re a bit worried [with the saturation] pero kahit saan namang business may risk,” he said. Apart from seeing The Yard grow and expand to new areas, another source of satisfaction for the founders is their role in discovering and nurturing successful food entrepreneurs who started out as small stall owners but now operate multiple branches. “Some of our tenants who are startups have made it big. Some of them have branched out. Some of them have franchises. Some of them have 10 branches. So, that really makes us happy about what we do,” Soriano said. One of its most successful early tenants at The Yard in Xavierville was Above Sea Level, a specialty seafood concept. Since opening its first branch in 2016, the brand has expanded to 21 locations, including provinces outside Metro Manila such as Bataan and Pampanga. The Yard is strict in requiring its concessionaires to stay in the property for at least six months to one year, and that may have helped a lot in the success of Above Sea Level and other food stalls. “We want them to grow their concepts here first at least for six months to one year. Dito muna kayo para mas ma-test niyo pa rin yung market. They’re testing the waters, so we’re helping them out in building their brands and we give them sort of mentoring too,” she added.